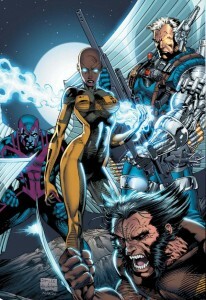 Marvel has just a handful of X-Men books out in this week’s collected editions, but only one you might want to pick up. Read on for a capsule review, plus the skinny on all of Marvel’s other new collected editions out this week. If you’re looking for more X-info, head over to my Definitive Guide to Collecting X-Men Graphic Novels. Or, for a more basic approach, my Intro to X-Men (on a budget). Collects Uncanny X-Men #534.1& 535-539. CK Says: Consider it. Kieron Gillen takes over Uncanny full-time and quickly solidifies his A-team as Cyclops, Emma Frost, Magneto, Namor, Kitty, and Colossus and uses them to delightful effect. The .1 issue is a one-off anti-terrorist adventure intercut with Magneto’s meeting with a public relations expert trying to downplay his own terrorist history. The Breaking Point storyline plays out a dangling plot from Whedon’s Astonishing X-Men, but it gets a little tiresome. #539 is a Wolverine and Hope one-shot, which maybe features the first likeable take on Hope we’ve seen so far. On the whole this collection is good-not-great, but it’s as enjoyable as Uncanny has been in a long while. 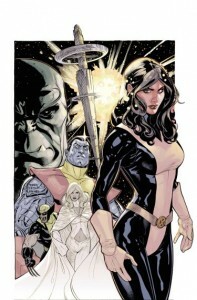 Here’s a recap of the X-Men hardcover and trade paperback collected editions out this month so far, penned by the (only?) blogger who owns almost every X-issue that’s ever been republished! Plus, a quick look at Marvel’s other collected releases. Whether you’re a major X-Fan or a casual reader, I’ll share my opinion on what’s worth buying, and recap the rest of the field. If you have any questions, just let me know – I’m happy to help. This is a supplement to my Definitive Guide to Collection X-Men in Graphic Novels, which tells you how you can buy any X-issue ever printed. Ever. If you’re new to X-Men in comics form, you should read my recent Intro to X-Men (on a budget) post. Collects Uncanny X-Men #235-238 & #270-272, New Mutant (1983) #95-97, and X-Factor (1986) #60-62. CK Says: Buy it! This hardcover debut of the 1990 “X-Tinction Agenda” crossover is as close as any single storyline collection gets to being an X-Men greatest hits collection. I already have my copy, and it is a thing of beauty. Paired with the included classic four-issue introductory arc, X-Tinction Agenda features nearly every possible member of the X-Cast through 1990 with few exceptions (notably Xavier, Polaris, Madrox, Magik, Magma, and Mirage/Moonstar). Also, the creative team is untoppable – script by 80s essential X-writers Chris Claremont and Louise Simonson, art by all-time greats Marc Silvestri and Jim Lee – oh, and some guy named Rob Liefeld. As for the story, it brings together the various X-Teams after over a half-a-decade apart while introducing the island of Genosha, where mutants are abundant – as a persecuted slave-race! This collection lays the groundwork for future X-stories, including Grant Morrison’s New X-Men and the recent blockbuster Second Coming.